Kadimi offers the highest quality of machine tools. In the changing economy, where productivity is increasing gaining prominence, Kadimi is geared to meet our customer requirements with the right products. • OSG Corporation, Japan - Taps, Drills, Endmills, Rolling Dies. • Dijet, Japan - Indexible Milling Tools. • FSK, Japan - Grinding Wheels, Mounted Points. • Showa Tool, Japan - Tool Holders, CNC Machine Accessories. • Tapmatic, USA - High Speed Tapping Systems. Please contact us with your inquiries. 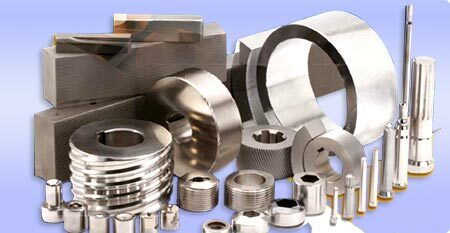 We can offer complete tooling solutions for your requirements.